Unlike dogs, cats, horses, and birds, guinea pigs have been a neglected subject of painting. 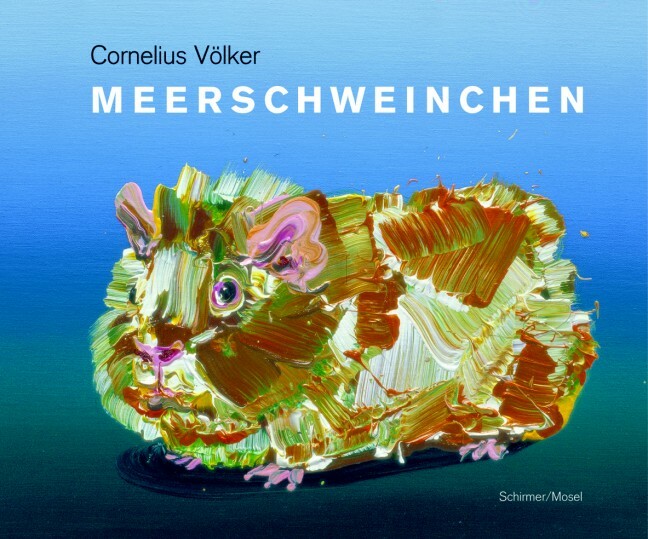 Cornelius Völker, known for his affinity to seemingly mundane subjects such as chocolate bars and tea towels, rehabilitates them in a splendid series of painterly beacons. On closer inspection his pastose brush strokes of even the cutest rodents turn into abstract color revelries and a visual feast. German text. Schirmer/Mosel. With texts by Magdalena Kröner and Bernd Finkeldey. 144 pages, 60 colour plates, softcover, 14.2 x 17.5 cm.